Construction remains on schedule for the first ROCKFON North America manufacturing facility to begin producing stone wool acoustic ceiling products by mid-year. A grand opening celebration will be planned once the new facility is operational. 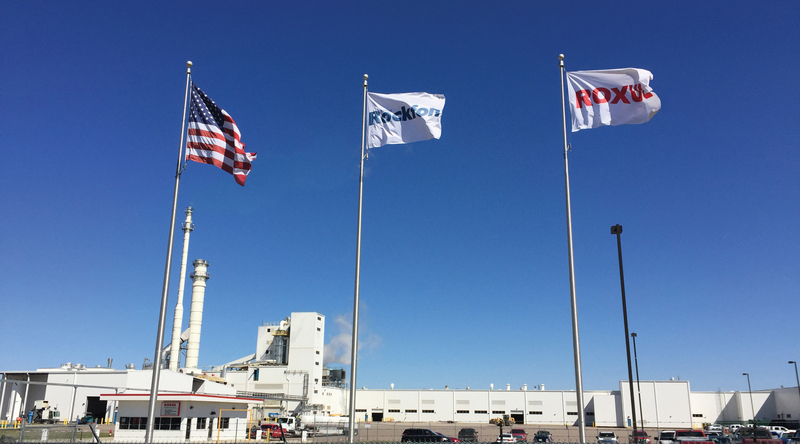 Located in Marshall County, Mississippi, the ROCKFON facility broke ground in March 2016. The completed building spans 130,000 square feet (12,000 square meters) with room for future expansion. Equipment installation and interior build-out are being finalized. Helping launch production this year, approximately 100 people will initially be employed at the facility. The ROCKFON business is a subsidiary of Denmark-based ROCKWOOL International A/S. The new facility represents an investment of approximately $40 million U.S. dollars by ROCKWOOL. "We are excited that the first U.S.-based, stone wool ceiling product manufacturing facility will help meet the growing demand for our products in North America, and extend our capacity across the globe," said ROCKFON President – Americas John Medio. "The investment by ROCKWOOL and the guidance provided by our worldwide network of associates to our North American teams has helped us move forward exactly as planned to ensure the same high quality and performance products as offered by our other facilities." When it opens, it will be the fifth ROCKFON manufacturing facility in the world. The ROCKFON business will continue to manufacture its specialty metal ceiling panels and Chicago Metallic suspension systems in its Chicago and Baltimore facilities. Chicago Metallic suspension systems also are manufactured in Belgium, Malaysia and China. Other ROCKFON stone wool manufacturing facilities are located in the Netherlands, Poland, France and Russia. In North America, the ROCKWOOL Group operates under the name ROXUL Inc., ROCKWOOL®, ROXUL® and ROCKFON® are all registered trademarks of ROCKWOOL International A/S.